The 6.5 Grendel is an accurate, low-recoil, and deadly cartridge designed to extend the range of an AR-15 beyond 1000 yards. Since it is mostly used for long distance hunting and precision shooting competitions, it requires a worthy scope to complement its performance. For that matter, we will evaluate and learn about the qualities and the type of scopes good for the 6.5 Grendel. We will also learn about the factors and considerations to keep in mind when choosing a rifle scope for the same. To attain the useful purpose of this guide, we have also outlined and reviewed the best scopes on the market for the 6.5 Grendel, for different uses, informing and protecting you from confusion. The 6.5mm Grendel is an intermediate cartridge designed as a low-recoil, high accuracy ammunition to extend the range of AR-15 rifles past 1000 yards at supersonic speeds. The 6.5 Grendel was designed for hunters to use on deer-sized animals out to 300-400 yards, beyond the effective range of any .223 Remington hunting ammo, which it does perfectly well, even for larger game. Additionally, the 6.5 Grendel is exceptional at long range shooting, so it requires a fairly decent scope with a mix of power and quick adjustments. Variable Magnification: Scopes with variable magnification are the best for use with the 6.5 Grendel. Since it can hit the target at long distances, a variable power scope allows you to choose your range. Night Vision: Since the 6.5 Grendel is an exceptional round for hunting, it's very likely that you’ll be taking out coyotes or wild boars with it. However, this feature will drive up the cost of the scope, so choose it only if necessary. 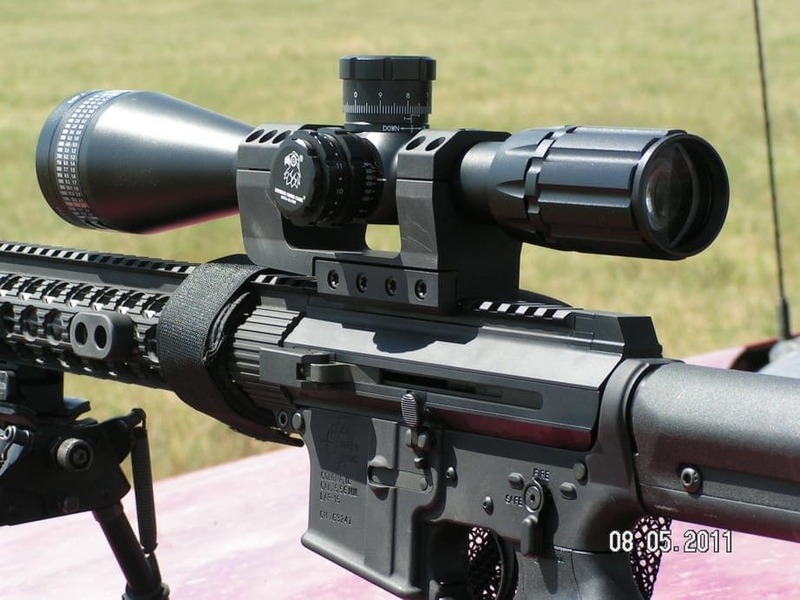 Reticles: Scopes with BDC or mil-dot reticles are a good choice for the 6.5 Grendel. Since the round can shoot accurately beyond 800 yards, having a proper reticle to estimate the drag and drop will obviously help. Additionally, having a scope with illuminated reticles can also be a good choice, depending on your intended use. Know your intended use: The very first fact to take into consideration is your intended use. Decide whether you’ll be using your scope for close quarter hunting, benchrest shooting, long range hunting, night hunting, or precision shooting competitions. Since the use will eventually decide the combination of features for the scope, you want to know exactly which features are a necessity and which you can do without, in order to keep your cost down. This point is not just specific to the 6.5 Grendel but to every caliber. 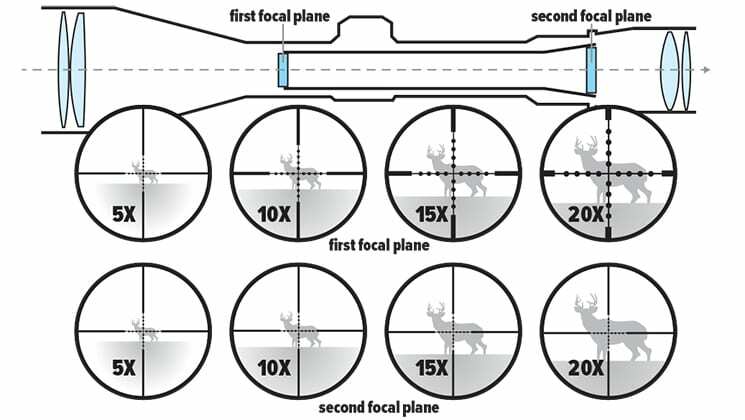 Focal Plane: In a First Focal Plane (FFP) scope, the reticle zooms in size, as you zoom over the target. Whereas in a Second Focal Plane (SFP) scope, the reticle stays the same size regardless of the zoom/magnification. With the exception of hunters who are sniping, the SFP scope will be enough for your needs. The basic difference between the two is that the turret values have to be adjusted for the SFP over long ranges when the magnification is changed. But in FFP, these values don’t change with magnification. Plus, FFP scopes are more expensive. Reticle: If you plan to shoot long range targets, with variable ranges, consider choosing a range finding BDC/mil-dot reticle. If shooting at less than 500 yards, a duplex/German reticle will be less complex and appropriate. Easy to Adjust: Make sure the turrets are easy to adjust, and you don’t need an Allen key or screwdriver every time to change the windage and elevation. The 6.5 Grendel can be used for variable long range shooting, so you might have to make quick adjustments. Quality: Make sure the scope is properly sealed with nitrogen/argon gasses to prevent any moisture or haze on the scope. Ensure the scope is of good quality, can resist shocks, has proper eye relief, and retains zero. Now that we've covered the basics, let's take a look at the models that made our list. 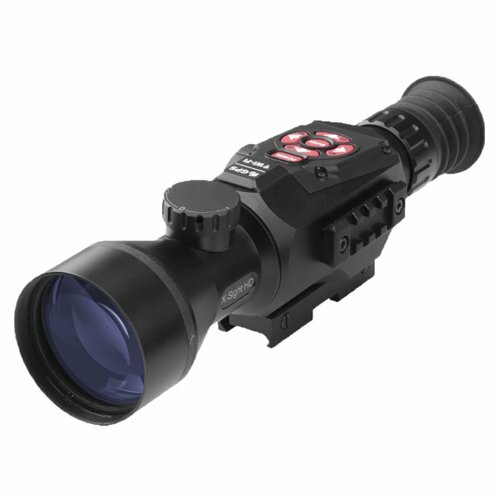 The Vortex Crossfire II is a variable magnification scope with an objective lens of 40mm. The objective is wide enough to allow an optimum amount of light for taking clear shots, even at dusk. The 3-9x magnification of the scope allows you to take shots as far as 700 yards without any difficulty (if you have a normal vision). It is a second focal plane scope and is exceptional for short to mid-range shooting. The tube has been made from lightweight aircraft-grade aluminum and measures one-inch in diameter. Plus, the tube is nitrogen perched and the O-ring is sealed to avoid any moisture/fog and to resist shocks. Additionally, the 3.8-inch eye relief makes it easy to use. The scope features a dead-hold BDC reticle so you can stay assured that it holds zero and works flawlessly over a long range. The scope has been priced aptly, not to burn a hole in your pocket. The Vortex Optics Crossfire II is an affordable and high-quality rifle scope with an optimum range and quick adjustments, suiting the range and precision of 6.5 Grendel. Moreover, the scope is not for scout style rifles. This scope from Primary Arms is a 4-16x magnification scope with a large 44mm objective. The scope features an illuminated mil-dot reticle, powered by batteries, to let you take clean shots at dusk, or in low light conditions. The size of the objective complements the illuminated reticle properties for sure. The reticle has 12 settings for brightness, so you can prevent the batteries from draining out fast. The magnifying power of the scope is enough to let you test the full range of 6.5 Grendel rounds. Plus the mil-dot crosshair, along with easily adjustable turrets, make shooting easy. The scope has been priced appropriately to offer good value for money. It is an SFP scope, so you might have to make minor turret adjustments when changing targets at a long range. The Primary Arms scope has enough magnification to use for long range shooting. The illuminated reticle and adjustments for windage, elevation, parallax, and eye relief are a plus. The scope also offers good value for the money. The ATN X-Sight II is more like a robotic virtual assistant, helping you with shooting. The scope features a 5-20x magnification, and should rightfully be called a computer, rather than a scope. It is so techie, that all you have to do is sight the target, and the scope will calculate and present the exact shooting point. The scope has an inbuilt rangefinder along with a ballistic calculator, GPS, and barometer. You can use the smart rangefinder to automatically measure and calculate the point of impact. It senses all the natural factors to assist you with shooting. Plus, it also has a 1080 HD camera with a recoil-activate-video (RAV) and Wi-Fi streaming. The scope also has an IR sensor and night vision mode to let you hunt in the dark. The entire setup is powered by four AA batteries, plus the manufacturer also supplies a power pack for recharging or eliminating the batteries completely. Too Techy to Use for Some People. The ATN X-Sight HD is a completely digital rifle scope, which automatically calculates the range, wind, and ballistics to present you a point of impact. It is a good choice for people who like to hunt at night and want to record videos. Plus, people who have a penchant for techy gear will also like it. The scope is useless without power and is not very good to teach someone the basics of shooting. Nikon can’t be left behind when you’re discussing scopes, and so we have it on our list. The Nikon ProStaff has a magnifying power of 3-9x and a large objective of 50mm, which is the point of focus for this product. This large objective makes the scope clear as day. Plus, the BDC reticle allows you to take long-range shots with extreme precision and accuracy. 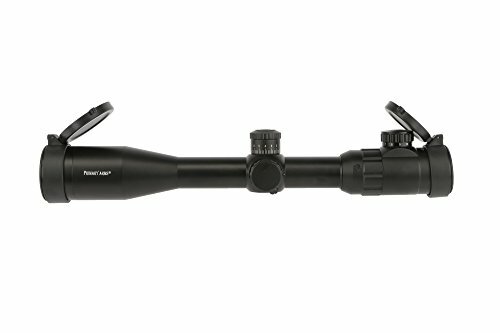 It is an FFP scope, which means it can be used for variable long range hunting. The scope is quite well-made and will resist water, fog, and recoil, although recoil is not much of a problem with the 6.5 Grendel. The price might seem a bit high, but considering it is an FFP scope, and a high quality “Nikon”, it is worth the expense. 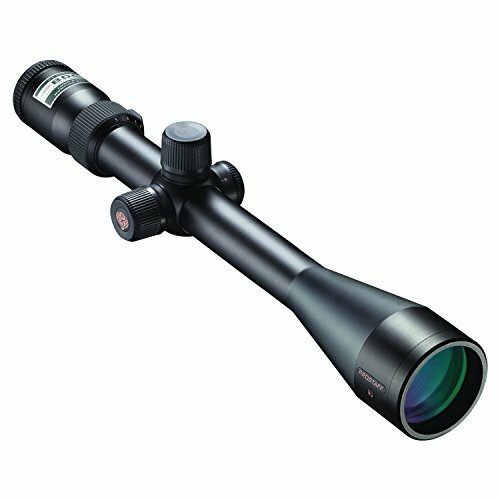 This scope is exceptional for hunting and tactical use. The reticle with thick ends won’t let you lose a target over a shabby background. It’s high quality, coupled with the lifetime warranty of Nikon, making it an awesome purchase for you. The Nikon ProStaff is a high-quality scope covered by Nikon’s lifetime warranty. It is an FFP scope and is extremely clear to let you take long shots at over 650 yards. 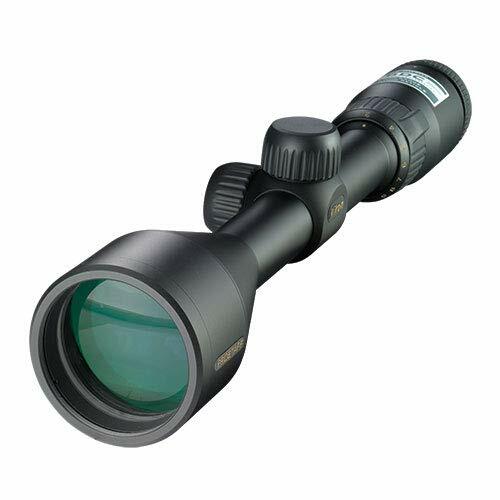 The Prostaff 7 from Nikon is a high power optic scope with a large 50mm objective lens. The scope can magnify the target within a range of 5x to 20x, so you can take full advantage of 6.5 Grendel’s effective range. The scope offers easy adjustments for windage, elevation, and parallax, along with a generous eye relief. The turrets are spring-loaded and offer instant zero reset. The lenses are multi-coated to present a clear target picture, and the tube is properly sealed to resist water, moisture, and fog. You can also use the Nikon’s spot-on mobile application to sight your targets with precision. The scope has a BDC reticle to help you with taking long-range shots accurately. It is also covered by Nikon’s lifetime warranty and its flawless reputation for quality. The Nikon Prostaff 7 is a high-powered scope with a BDC reticle to assist you in long-range shooting. If you want to test out the maximum range of your 6.5 Grendel rounds, this scope is for you. The only thing that might give you pause from buying this is the price. But Nikon is still a brand worth trusting with your money. The 6.5 Grendel is a low-recoil, long-range caliber intended for hunting and precision shooting. You must consider the magnifying power, reticle type, and night vision capabilities of a scope before using it with this type of ammunition. Additionally, factors such as the focal plane, adjustments, and quality will also play an important role in choosing the right scope for your needs.